Tags: Institute for Quantum Computing U Waterloo, Noncontextuality, Perimeter Institute ( 20 ), Quantum Mechanics ( 136 ), Theoretical Physics ( 6 ), What does it mean to say the world is quantum? From left to right: Matthew Pusey (Perimeter postdoctoral researcher), Kevin Resch (IQC and University of Waterloo faculty member), Robert Spekkens (Perimeter faculty member), and Michael Mazurek (University of Waterloo and IQC PhD student) interact in a quantum optics lab at the Institute for Quantum Computing. No image credit. What does it mean to say the world is quantum? It’s a surprisingly difficult question to answer, and most casual discussions on the point are heavy on the hand-waving, with references to cats in boxes. If we are going to turn the quantum-ness of the universe to our advantage through technologies like quantum computing, our definition of what it means to be quantum – or, more broadly, what it means to be non-classical – needs to be more rigorous. That’s one of the aims of the field of quantum foundations, and the point of new joint research carried out by theorists at Perimeter and experimentalists at the University of Waterloo’s Institute for Quantum Computing (IQC). One candidate for something that defies classical explanation is the failure of noncontextuality. “You can think of noncontextuality as the ‘if it walks like a duck’ principle,” says Matthew Pusey, a postdoctoral researcher at Perimeter who also worked on the project. As the saying has it, if something walks like a duck and quacks like a duck, it’s probably a duck. The principle of noncontextuality pushes that further, and says that if something walks like a duck and quacks like a duck and you can’t tell it apart from a duck in any experiment, not even in principle, then it must be a duck. Though noncontextuality is not something we often think about, it is a feature one would expect to hold in experiments. Indeed, it’s so intuitive that it seems silly to say it aloud: if you can’t tell two things apart, even in principle, then they’re the same. Makes sense, right? But in the quantum universe, it’s not quite true. Under quantum theory, two preparations of a system can return identical results in every conceivable test. But researchers run into trouble when they try to define exactly what those systems are doing. It turns out that in quantum mechanics, any model that assigns the systems well-defined properties requires them to be different. That’s a violation of the principle of noncontextuality. To understand what’s happening, imagine a yellow box that spits out a mix of polarized photons – half polarized horizontally and half polarized vertically. A different box – imagine it to be orange – spits out a different mix of photons, half polarized diagonally and half polarized anti-diagonally. Now measure the polarization of the photons from the yellow box and of the photons from the orange box. You can measure any polarization property you like, as much as you like. Because of the way the probabilities add up, the statistics of any measurement performed on photons from the yellow box are going to be identical to the statistics of the same measurement performed on photons from the orange box. In each case, the average polarization is always zero. You might think, following the principle of noncontextuality, that since the yellow and orange boxes produce indistinguishable mixes of photons, they can be described by the same probability distributions. They walk like ducks, so you can describe them both as ducks. But as it turns out, that doesn’t work. In a noncontextual world, the fact that the yellow-box photons and orange-box photons are indistinguishable would be explained in the natural way: by the fact that the probability distribution over properties are the same. But the quantum universe resists such explanations – it can be proven mathematically that those two mixtures of photons cannot be described by the same distribution of properties. But can such a theoretical result be tested? Theorists from Perimeter and experimentalists from IQC set out to discover that very thing. Kevin Resch, a faculty member at IQC and the Department of Physics and Astronomy at the University of Waterloo, as well as a Perimeter Affiliate, worked on the project from the experimental end in his lab. 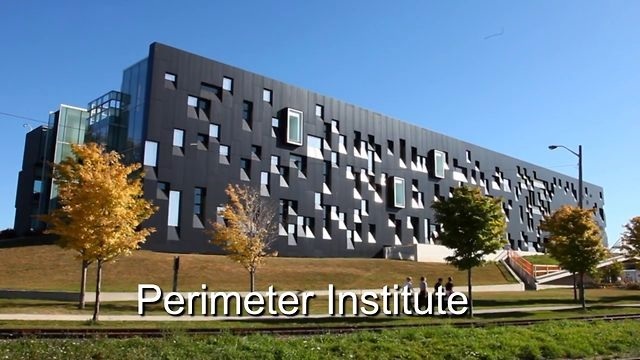 While previous attempts to test for the predicted failure of noncontextuality have had to resort to assuming things like noiseless measurements that are not achievable in practice, the Perimeter and IQC teams wanted to avoid such unrealistic assumptions. They knew they couldn’t eliminate all error, so they designed an experiment that could make meaningful tests of noncontextuality even in the presence of error. Pusey hit on a clever idea to fight statistical error with statistical inference. Ravi Kunjwal, a doctoral student at the Institute for Mathematical Sciences in Chennai, India, who was visiting at the time, helped define what a test of noncontextuality should look like operationally. Michael Mazurek, a doctoral student with Waterloo’s Department of Physics and Astronomy and IQC, built the experimental apparatus – single photon emitters and detectors, just as in the yellow-and-orange box example above – and ran the tests. At one point, Mazurek used half a roll of masking tape to keep optical fibres from moving around in response to tiny shifts in temperature. Nothing about this experiment was easy, and much of it can only be described with statistics and diagrams. But in the end, the team made it work. The result: an experiment that definitively shows the failure of noncontextuality. Like the pioneering work on Bell’s theorem, this research clarifies what it means for the world to be non-classical, and confirms that non-classicality experimentally. Importantly, and in contrast to previous tests of contextuality, this experiment renders its verdict without assuming any idealizations, such as noiseless measurements or statistics being exactly the same. This opens a new range of possibilities. Researchers in several fields are working to find “quantum advantages” – that is, things we can do if we harness the quantum-ness of the world that would not be possible in the classical world. Examples include quantum cryptography and quantum computation. Such advantages are the beams and girders of any future quantum technology we might be able to build. Noncontextuality can help researchers understand these quantum advantages. “We now know, for example, that for certain kinds of cryptographic tasks and computational tasks, the failure of noncontextuality is the resource,” says Spekkens. In other words, contextuality is the steel out of which the beams and girders are made.